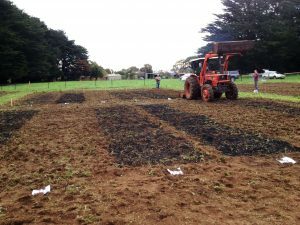 The first Australia New Zealand Biochar Study Tour and third Conference (ANZBC19), will be held from Sunday 20 – Saturday 26 October in South Eastern Australia. The 3 day Study Tour at great locations in Mt Gambier and Tantanoola, South Australia and Portland, Victoria (the Green Triangle Region) will be Sunday 20 to Tuesday 22 October. 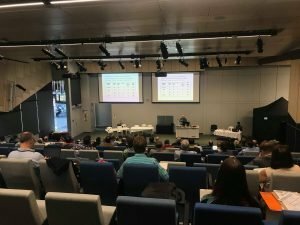 The 3 day Conference will be held in the Melbourne Metropolitan Region, often referred to as ‘cultural capital of Australia’ and is hosted by the Royal Melbourne Institute of Technology (RMIT University), at their historic Melbourne City Campus with a field trip to Templestowe & RMIT Laboratories. The event will be held from Thursday October 24 to Saturday October 26. They are linked events and sponsors can choose which they would like to support or split the sponsorship between both events. Delegates can purchase a combined registration to both events or individually. We have strategically chosen rural & regional Australia and a capital city as locations. 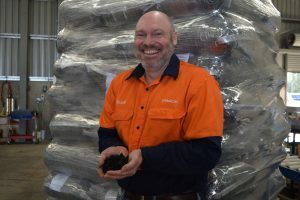 The objective of ANZBC19 is to focus on “mainstreaming biochar” by bringing together stakeholders who wish to achieve commercial scale biochar outcomes with significant economic, environmental and social outcomes. 1. ANIMAL HEALTH – hear from farmers and scientists, the benefits and methods of incorporating biochar in animal feeds. 2. SOIL HEALTH – hear from growers and researchers, the best methods of application based on soil type and feedstock. 3. BURNING OR LAND-FILL – hear from biochar producers, the benefits and methods of avoiding the burning or landfill of ‘problem organic residues’ from forestry, farming, wood and food processing, city green wastes & bio-solids. 4. WATER QUALITY – hear from the research and innovators who are using biochar to clean up polluted water. 5. SUSTAINABLE BUILDING – hear from researchers & developers using green building techniques with biochar in concrete. 6. ROAD BUILDING – hear from scientists & others on the benefits of using biochar to replace some of the bitumen in asphalt. 7. REGIONAL ENERGY AND JOBS – hear from regional energy users who are using low value organic residues to supply energy and biochar. Learn about the similar potential that exists in regions across the world. 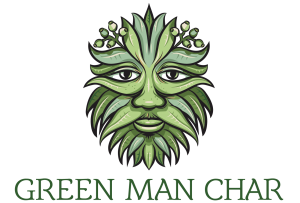 This event is designed for educators, public servants, policy makers, primary producers and farmers, domestic and public space gardeners, federal, state and local government authorities and their employees and constituents, researchers and scientists in academia and the public and private spheres, and anyone and everyone interested in mainstreaming biochar in Australia and New Zealand. Join Australia New Zeland Biochar Initiative Inc. (ANZBI), a not for profit organisation that provides networking, educational, collaboration and lobbying services to it’s members with the aim to assist the emerging ANZ Biochar Industry. We are working on developing a set of biochar standards for use in soil. Members recieve a copy of the recordings each year from ANZBC, (a separate private social enterprise) as part of their membership plus 20% discount on delegate fees and sponsorship.